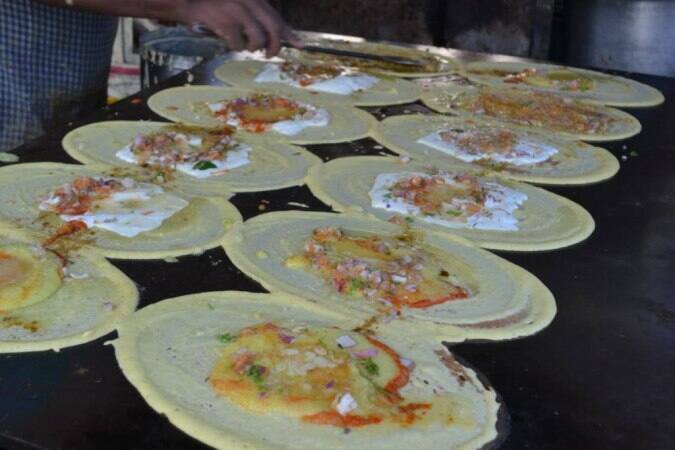 8 Must Try Foods of Hyderabad. If you like to try it in a classy restaurant, try it in Paradise. The real Hyderabadi style of biryani both by flavor and serving style are found in Cafe Bahar, Shah Gouse and Shadab being the top 3. The Ramzan special haleem is the most loved food of Hyderabad next to Biryani which cant be beaten any day. 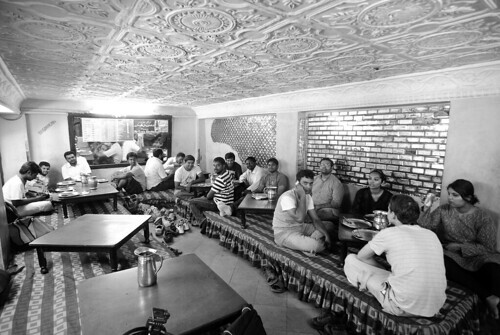 Haleem is another Arab dish moved to India and was served to soldiers by the Nizam. The real Yummy dish is exported all over from hyderabad during the Ramadan month. 3. Paya with fresh oven baked bread. A must try and this will bring you down to restaurant on every rainy day. The fresh baked flat bread will go great with the Mutton Leg Soup. The very special Irani chai at Shadab/Shah gouse will make it an amazing meal. Irani chai came to India with the Iranian and Persian immigrants to India in the 19th century and became our very own Hyderabadi. Special note for the above 4 dishes- Do not sit in the Air conditioned (AC) section. Try it the real Hyderabadi way. Oh ya.! right this way. 5. Karachi Bakery Biscuits and Osmania Biscuits. Karachi Bakery bakes the Hyderabad’s best biscuits and are available in almost every super market and if you want to fly with them, you have a store of Karachi bakery in Hyderabad Airport too. Guess what, you find karachi bakery biscuits in every Indian Store abroad. You cant eat Just One. Osmania Biscuits are the authentic biscuits of Hyderabad and are best with Tea for a great evening time. 6. Pulla Reddy Ghee Sweets. If you love Sweets, here is the destination. 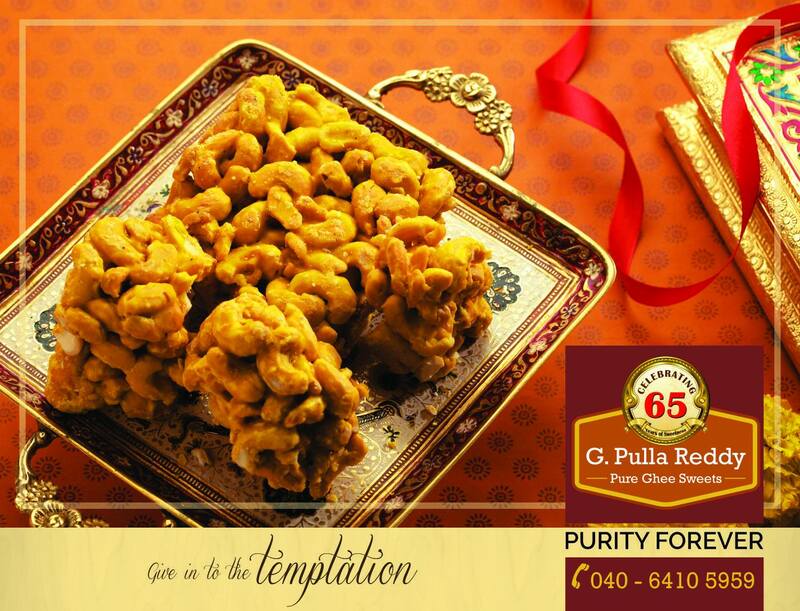 Pulla Reddy ghee sweets make every occasion complete. Originated from Nandyal, Famous in hyderabad. Pulla reddy sweets are famous for quality and the Taste. Try a sweet at pulla reddy if you are in hyderabad. Want to fly with them.? They also have a store in Hyderabad Airport. 7. Special Butter Dosa @ Govind Dosa Bandi / Raam Ki Bandi. Raam ki bandi and Govind Dosa are two small vendors of Dosa in Hyderabad but are very famous for their special Butter Dosa. They serve only in the morning, starting 4 AM until 9 AM, A night out or a early bird can only can make it to taste these dosas. 8. Chat @ Gokul Chat. Gokul chat, the famous chat destination of hyderabad attracts huge crowds with the best Chat in city.